2016 was a big year for ecommerce in Germany. Did you know that German B2C ecommerce sales grew by 12% in 2016? Retail ecommerce sales amounted to $58.4 billion, which was 12.5% higher than the year before. Digital ecommerce sales grew by nearly ten percent to $15.71 billion. And, overall, German ecommerce sales were $74 billion. According to eMarketer, a publication devoted to digital business data and analysis, the percentage of retail sales from ecommerce should be around 7.9% this year and up to 9% by 2020. To give you some perspective, ecommerce sales were 6.7% of total retail sales in 2015 and 7.3% of Germany’s retail sales in 2016. Given the amount of competition in the ecommerce space, it is important for retailers to maximize their potential customer base. The increase in ecommerce sales in Germany is not an aberration. 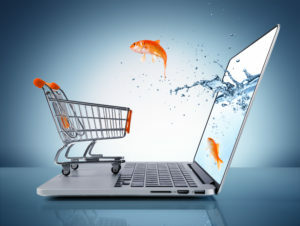 Ecommerce sales are growing across the world as more customers take advantage of the many benefits of shopping online. For example, in the Germany example, men generated an increase in ecommerce sales by significant percentages. Men’s sales in clothing rose by 22.5% and in home decoration items by 40.5%. Not to be outdone, women’s sales in appliances and home goods rose by 62.1%. The market is there for retailers across the world to expand their customer bases as customer preferences change. 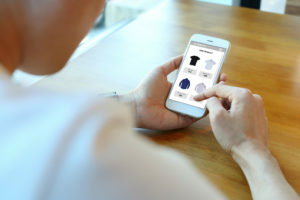 However, in order for an ecommerce retailer to make a real dent in the market, they not only need to have a good social media presence and easy-to-use site. They must also provide customers with a secure, convenient way to pay for their items. This is where First Atlantic Commerce is helping ecommerce retailers reach new customers and improve their market share. We here at First Atlantic Commerce offer offshore merchant account and international merchant account services to enable ecommerce merchants around the world. Note that all merchants must have a physical presence and corporation in the jurisdiction of bank settlement. Our merchant account solutions allow merchants to offer local currency payment options to their customers. In Europe, we offer merchants the ability to price their products in up to 150 different currencies with settlement to Euros, and in Panama up to145 currencies with settlement to the U.S. dollar, enabling more efficient multi-currency processing. We also offer presentment and settlement in 15 currencies for those companies based in Mauritius. Getting an international merchant account is easy. All you need to do is apply using our online form, and we will contact you with further details and questions. The goal is to create a tailored solution that meets your needs, and we will guide you through the process from start to finish. Our offshore merchant account services are highly secure, PCI DSS-compliant, and completely easy to use. If you are looking for a powerful and secure platform to help you grow your ecommerce business across the world and reach new markets, First Atlantic Commerce has a solution for you. Contact us today to learn more.